There were 127,064 motor vehicle crashes in Arizona in 2017, according to the Arizona Department of Transportation. Maricopa County had the most of any county with 93,596 crashes, resulting in 39,131 injured individuals and 463 deaths. With so many crashes occurring each year, it is almost inevitable that you will one day be involved in a collision. When that time comes, you should be prepared. If you are OK, you can move on to next steps. If you are seriously injured, stay still and call for help. If one or more people in your vehicle are hurt or cannot respond, call 911 right away. Move your vehicle, if necessary. 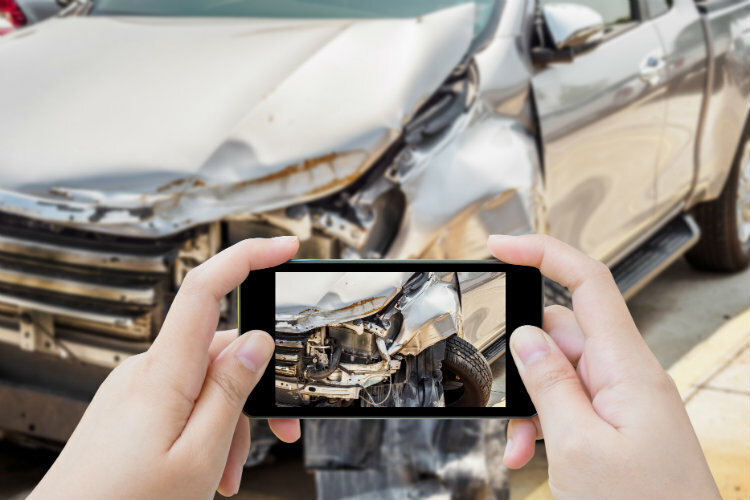 In some car crash cases, it is better to leave your vehicle where it ends up after a collision to ensure you can obtain accurate pictures and video. If you can leave your vehicle, do so. If the final placement of your vehicle puts you in danger, drive to a nearby safe location, such as pulling over to the shoulder of a highway. If you are able to move but it appears other people have been hurt, provide what assistance you can and call 911. If you are not involved in an emergency situation and are able to speak with the other driver, ask for their name, address, phone number, and insurance information. Exchanging information is required under Arizona Revised Statutes (ARS) 28-663. It is often easiest to ask to see their driver’s license and insurance card. You can snap a picture with your phone. It is easy to be mad after a car crash, and the adrenaline can make you feel aggressive. However, remain calm and do not confront the at-fault driver. This can escalate into a dangerous situation. If other people stopped to help or give statements to the police, ask for their names, phone numbers, and addresses. If you have a cell phone, take as many pictures and videos of the accident as you can. Do not forget to document any related property damage or marks on the pavement. Write down (or record a memo on your phone) the date and time of the crash, the weather conditions, the road and traffic conditions, and anything else that may be relevant. Once the police arrive on the scene, they will ask for your information and a description of the crash. You should remain calm and cooperate. If you are not seriously injured, you may decline an emergency room trip. However, be looked over by the paramedics and see your physician soon after the accident for a comprehensive exam. Tell your doctor you were in a car crash, so they note it in their file and know what to look for. Once you have received medical attention and are safe, call, email, or use a mobile app to notify your auto insurer of the crash. Providing notice is required in order to receive coverage under your policy. If you are in a car accident and you believe you may have been at fault, do not drive away. Under ARS 28-661 and 28-662, you are required to stop and remain at the scene. Stay put and follow the same steps as you would if you were not responsible. However, there are some key things you should avoid. Do not apologize, admit fault, or say you feel responsible in any way. These statements can be used against you during an auto insurance claim and personal injury lawsuit. Do not try to negotiate a way out of an insurance claim. Do not offer the other driver money directly. You have to see the accident through properly, even if you may be liable. Following a car crash, you probably have a few questions. If the accident was not your fault, you may be wondering if you will receive an insurance payout. If you believe you may have caused the accident, you could be wondering whether your insurance will cover the costs. In either situation, you may question whether you need to sue or will be sued. Working with an experienced car accident lawyer is often the best way to answer these questions and determine how to move forward after a crash. To speak to an attorney at Tiffany & Bosco about your case, call 602-255-6000 today.